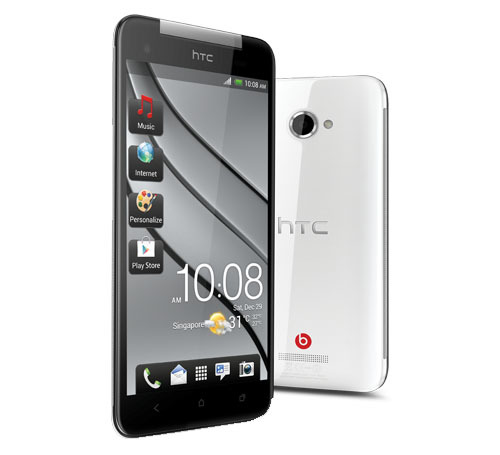 Taiwanese smart phone maker, HTC, today releases it's Android 4.1.1 (Jelly Bean) powered Butterfly phone in India for Rs. 46,000 (INR) with world's first 5-inch Full HD 1080p screen. Butterfly available for Verizon Wireless customers as DROID DNA. HTC Butterfly is a water-protected (IPX-5) phone, and equipped with 1.5 GHz quad-core Qualcomm Snapdragon S4 Pro processor, 2GB of RAM, Android 4.1.1 (Jelly Bean) with HTC Sense 4+, 8 megapixel rear and 2.1 megapixel front camera, DLNA for wirelessly streaming media from the phone to a compatible TV or computer, HDMI, Wi-Fi and a 2020 mAh battery.